Commerce Secretary: 'Too Early' to Say if US Will Impose Auto Tariffs - Integration Through Media ....! 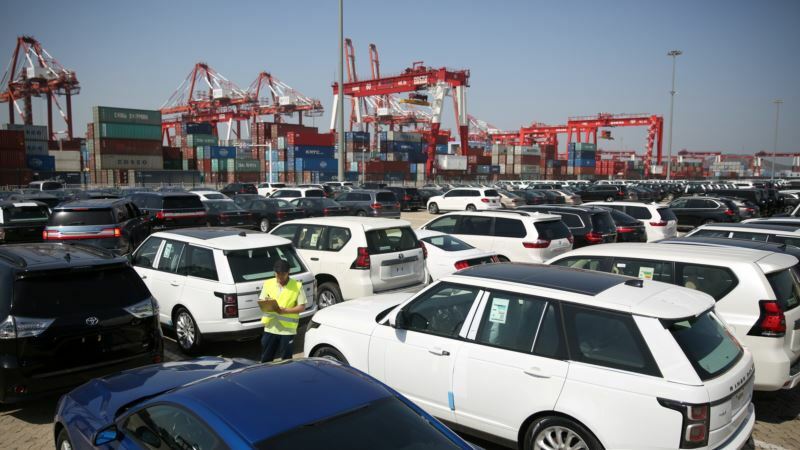 (VOA): Commerce Secretary Wilbur Ross said Thursday it was "too early" to say if the United States would impose tariffs of up to 25 percent on imported cars and parts, a suggestion that has been met with harsh criticism from the industry. The department opened an investigation in May into whether imported autos and parts pose a national security risk and was holding a hearing on the probe Thursday, taking testimony from auto trade groups, foreign governments and others. Ross' remarks came at the start of the public hearing, which he said was aimed at determining "whether government action is required to assure the viability of U.S. domestic production." A group representing major automakers told Commerce on Thursday that imposing tariffs of 25 percent on imported cars and parts would raise the price of U.S. vehicles by $83 billion annually and cost hundreds of thousands of jobs. Automakers say there is "no evidence" that auto imports pose a national security risk, and that the tariffs could actually harm U.S. economic security. They are also facing higher prices after tariffs were imposed on aluminum and steel. The Alliance of Automobile Manufacturers, whose members include General Motors Co, Volkswagen AG and Toyota Motor Corp, warned on the impact of the tariffs. "Higher auto tariffs will harm American families and workers, along with the economy" and "would raise the price of an imported car nearly $6,000 and the price of a U.S.-built car $2,000," said Jennifer Thomas, a vice president for the group. She noted that the U.S. exports more than $100 billion of autos and parts annually to other countries, while "there is a long list of products that are largely no longer made in the U.S., including TVs, laptops, cellphones, baseballs, and commercial ships." No automaker or parts company has endorsed the tariffs, and they have pointed to near-record sales in recent years. Warnings Jennifer Kelly, the United Auto Workers union research director, noted that U.S. auto production has fallen from 12.8 million vehicles in 2000 to 11.2 million in 2017 as the sector has shed about 400,000 jobs over that period, with many jobs moving to Mexico or other low-wage countries. "We caution that any rash actions could have unforeseen consequences, including mass layoffs for American workers, but that does not mean we should do nothing," she said, suggesting "targeted measures." Many firms that sell vintage vehicles also warned that the tariffs could devastate the industry because many older cars need parts that are only made outside the United States. Polaris Industries Inc warned that off-road vehicles could also be inadvertently covered by the tariffs. A study released by a U.S. auto dealer group warned that the tariffs could cut U.S. auto sales by 2 million vehicles annually and cost more than 117,000 auto dealer jobs, or about 10 percent of the workforce. President Donald Trump has repeatedly suggested he would move quickly to impose tariffs, even before the government launched its probe. 'Tremendous retribution' "We said if we don't negotiate something fair, then we have tremendous retribution, which we don't want to use, but we have tremendous powers," Trump said Wednesday. "We have to — including cars. Cars is the big one. And you know what we're talking about with respect to cars and tariffs on cars." The European Union, Japan, Canada and Mexico, along with many automotive trade groups, are among 45 witnesses scheduled to testify during the daylong hearing. The Commerce Department said earlier this week it aimed to complete the investigation "within a couple months."